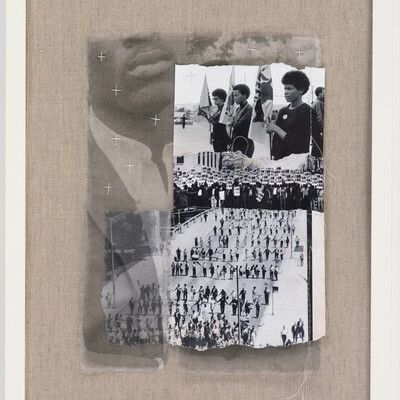 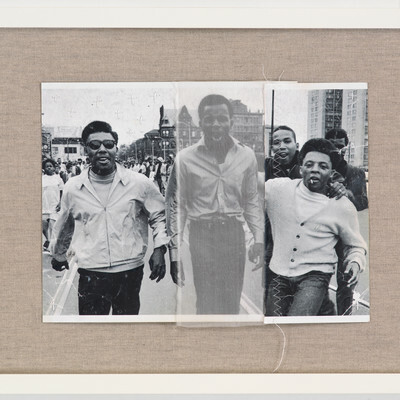 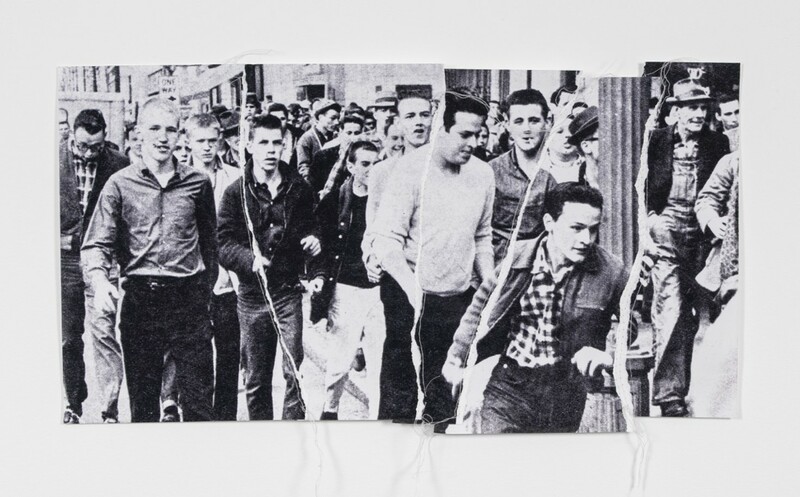 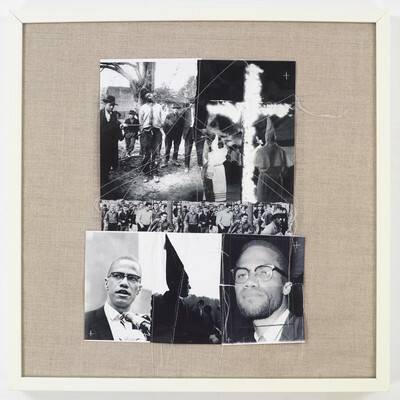 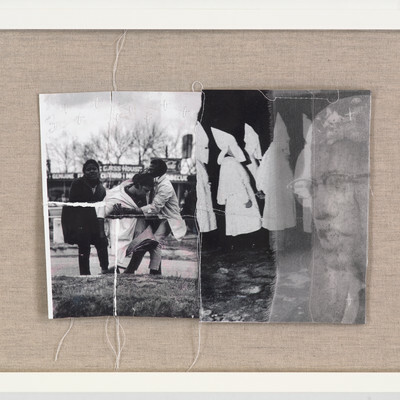 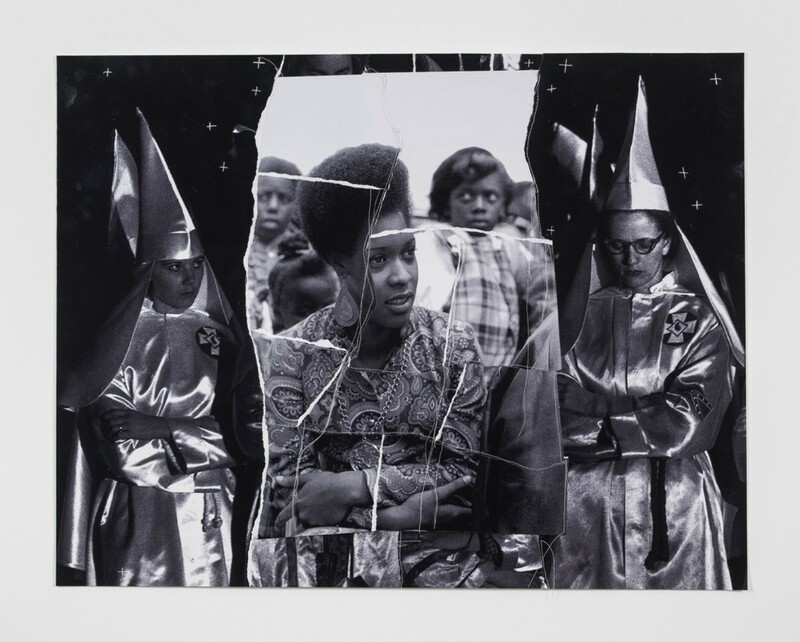 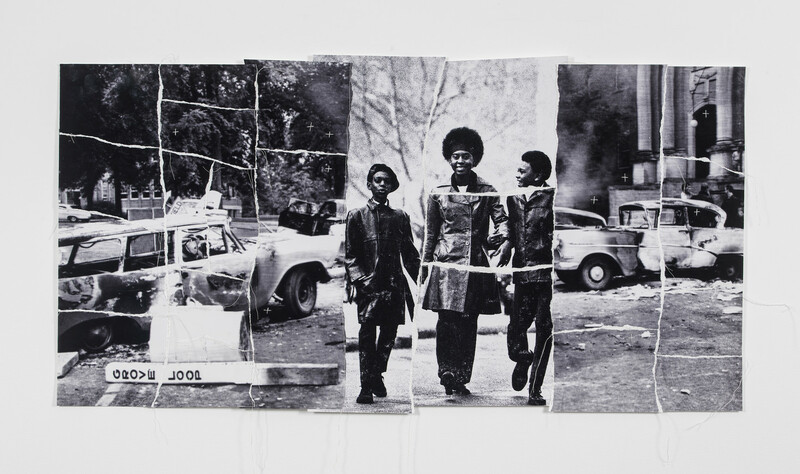 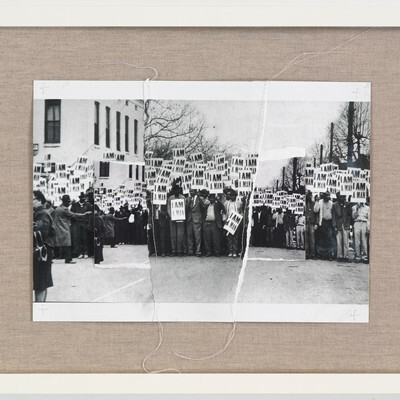 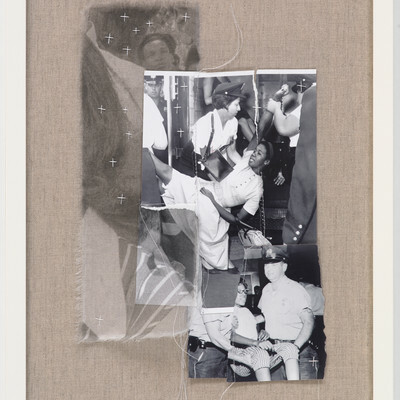 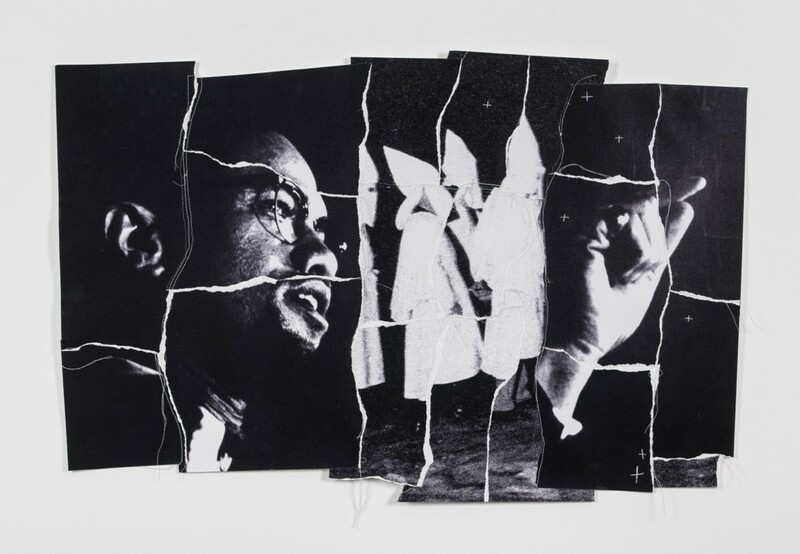 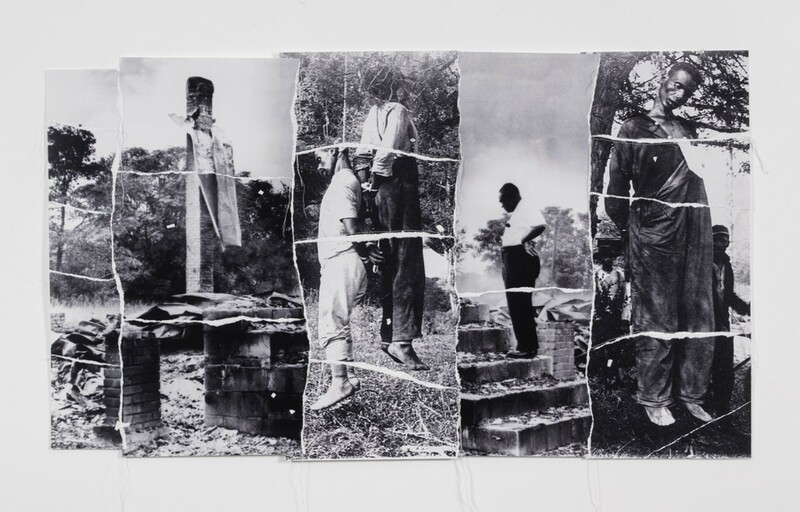 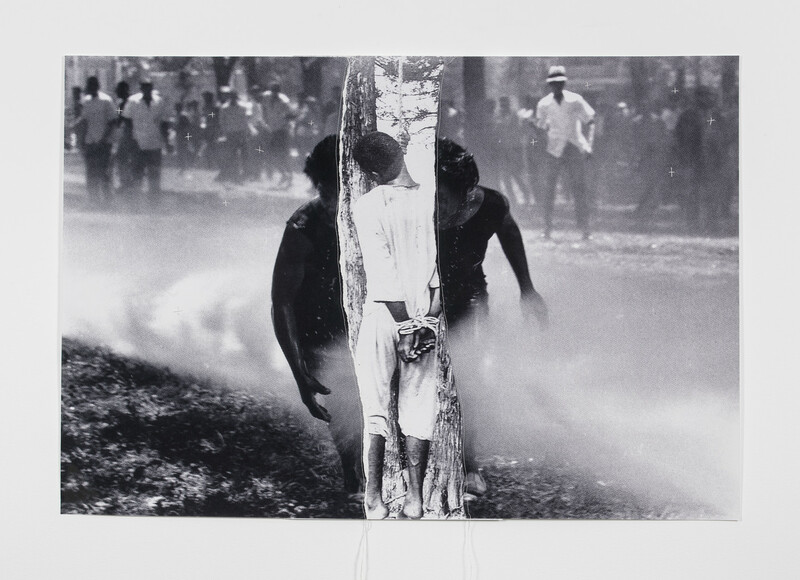 After months of working on powerful and sensitive images from the Civil Rights Movement for their Whitewash paintings, McCallum began a process of deconstructing and reconstructing the same images in a new series of collages. 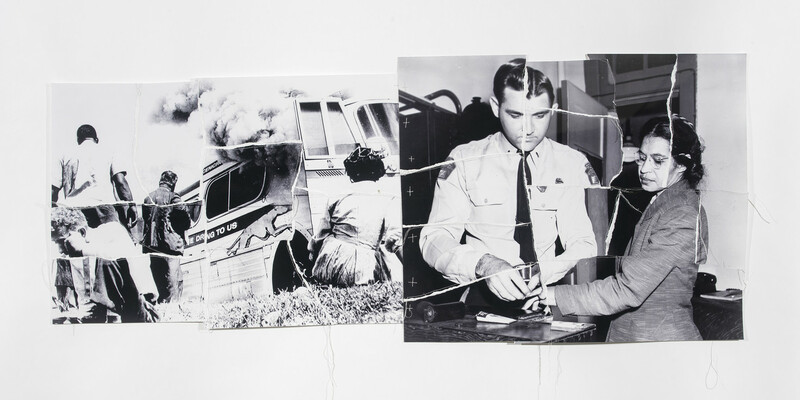 He tore up, ripped, and shredded the original source photograph and recombined the fragments of different yet recognizable images. 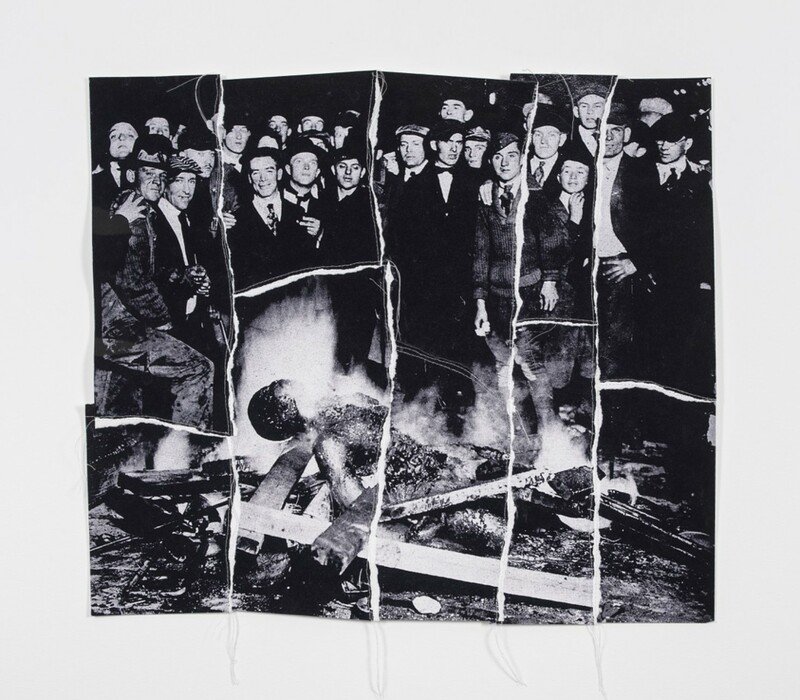 Using fine white cotton, the artist stitched the now fragile pieces together to form an incredibly vulnerable and traumatized representation of the body politic.